Two white squiggle ornaments by Will Squig Design. 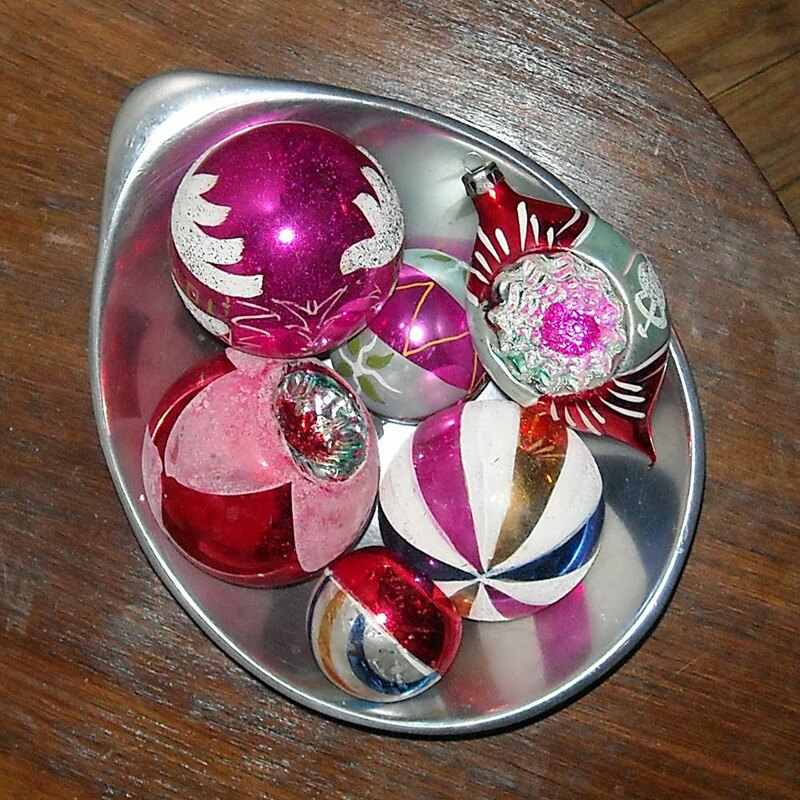 Just a little Christmas eye candy for some yuletide cheer. Whether you adorn your home with scented garlands of pagan pine, kitschy pink tinsel trees, or yards of colorful LED lights, decoration makes this time of year feel extra cozy and special. Forget about hanging stockings by the chimney with care, or baking cute cookies, I prefer to decorate! 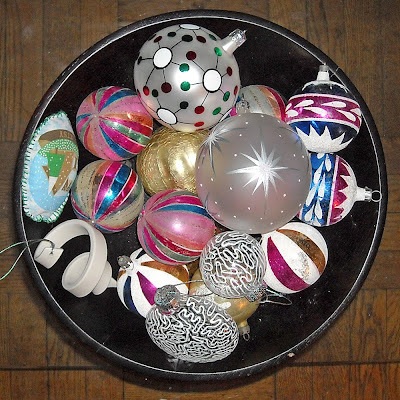 Above, are some of my favorite ornaments, collected over the years. Many are vintage, but some are brand new. 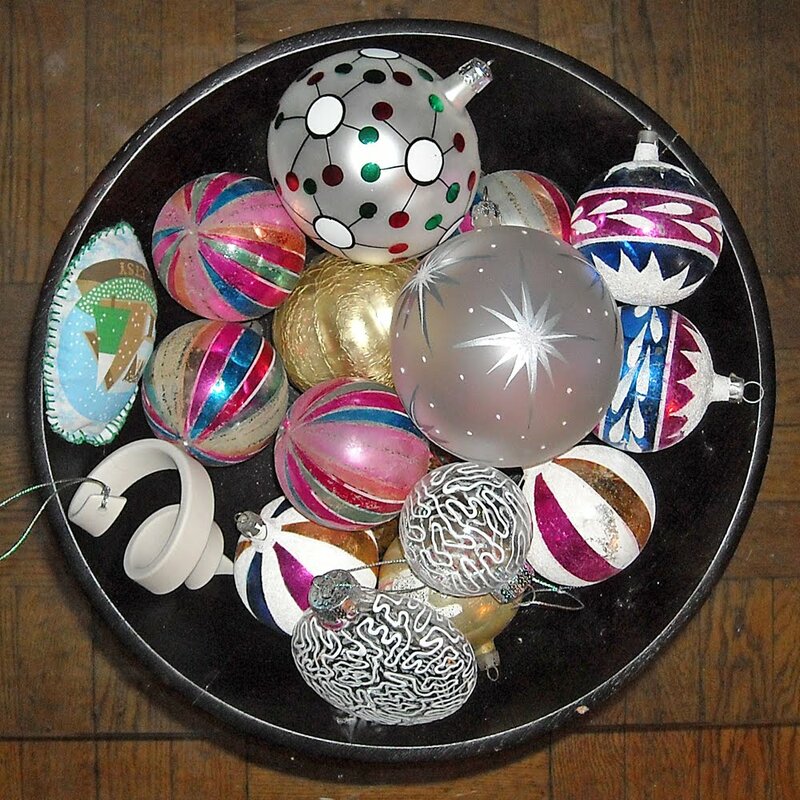 This season, I purchased two beautiful hand painted ornaments with an allover white squiggle pattern from Will Squig Design, who was selling wonderful Christmas ornaments at Artist & Fleas in Williamsburg, reminiscent in feeling of vintage Keith Haring grafitti inspired patterns. You can also check out his affordable pop-art on Etsy. 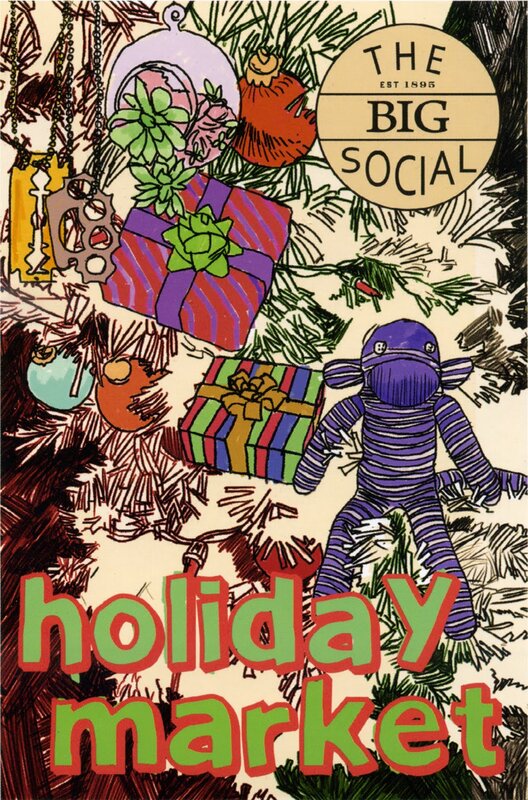 From the creators of the Hester Street Fair comes The Big Social Holiday Market, opening just in time for the last minute Christmas dash! 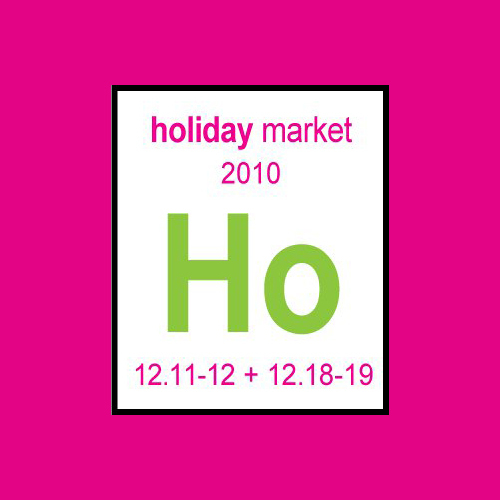 I be there with my jewelry, in a big way, pulling out all the stops, and showcasing an amazing collection of colorful holiday jewels you won't find anywhere else! Enjoy the artisanal crafted foods and refreshments, Hester Street Fair has become known for, while shopping in a curated gallery space filled with over 40 vendors. 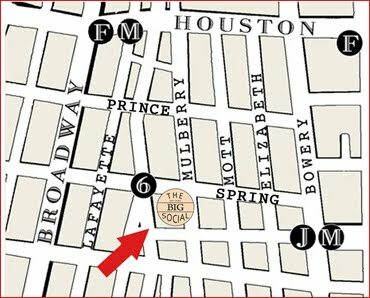 Join us this weekend, at The (Makers) Market in Brooklyn, for unique holiday shopping and refreshments, in a charming rustic environment. 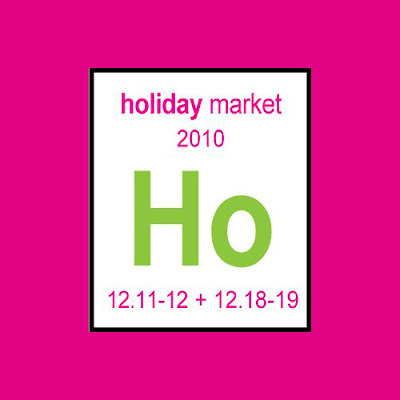 I'll be bringing tons of my sterling silver jewelry, including vintage and unusual semi-precious stone designs, and Matt will be showing his Handmade On Peconic Bay collection of modern vintage prints and cute holiday cards, so stop by and meet your maker! 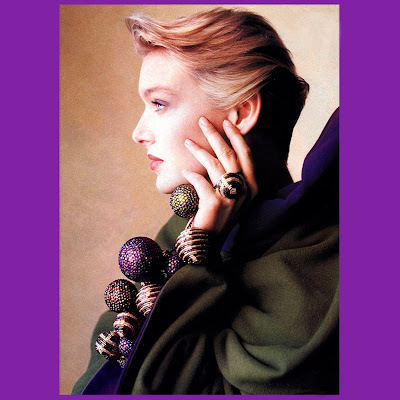 From the Cynthia Rybakoff archives, here's an understated holiday look from 1989. I'm not going to exaggerate the time and effort that went into gluing each Swarovski crystal and vintage bugle bead, one piece at a time, with tweezers and delicate fingertips, to this 3 tiered neck piece with a zillion sparkling baubles. If made today, the piece would retail for about $18,000. 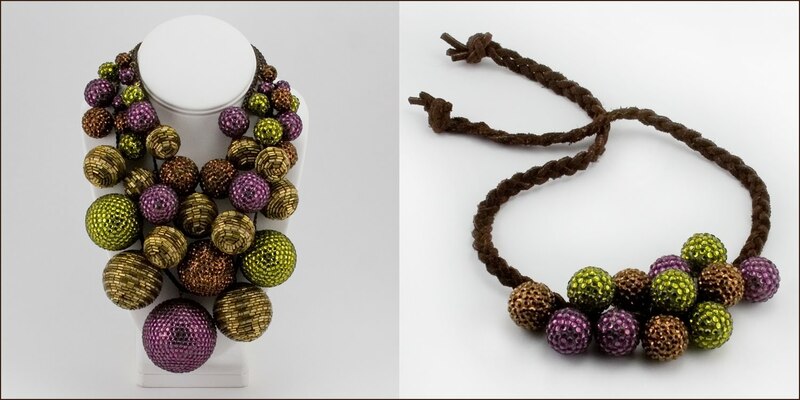 The necklace was part of a collection designed for the Fall/Winter Isaac Mizrahi runway show, and included a braided suede wrist wrap, that doubled as a necklace. The versatility of this piece is nicely demonstrated in this not at all provocative ad for Harvey Nichols. Once and a while you fall quite madly in love. With a new fashion and design collection you've stumbled upon. It happened so suddenly, I was simply smitten by Chance. 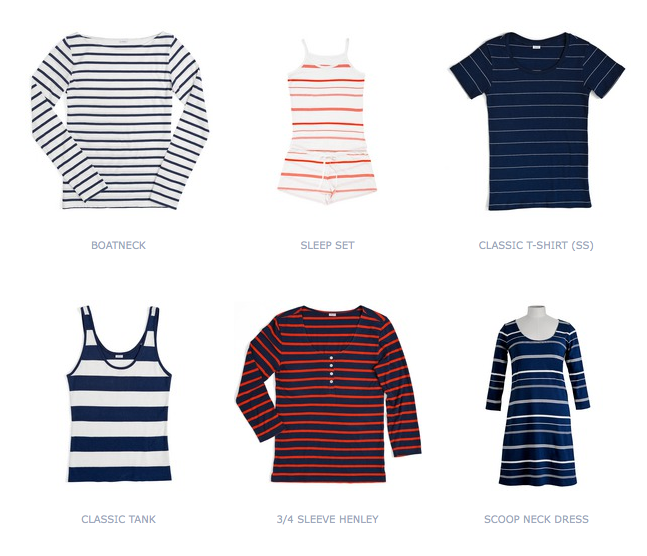 What could be better than entire women's collection dedicated to the pattern I love most in life, stripes? And the Chance Essentials. Don't get me started on this curated collection of year round nautical and beachy items. My picks are the 2-Stripe Stocking Cap for right now, Vintage Vera Scarves (so necessary for boating), The denim Skipper Sun Hat, a Cotton Knot Necklace, and can't live without sweet Turtle Necklace! 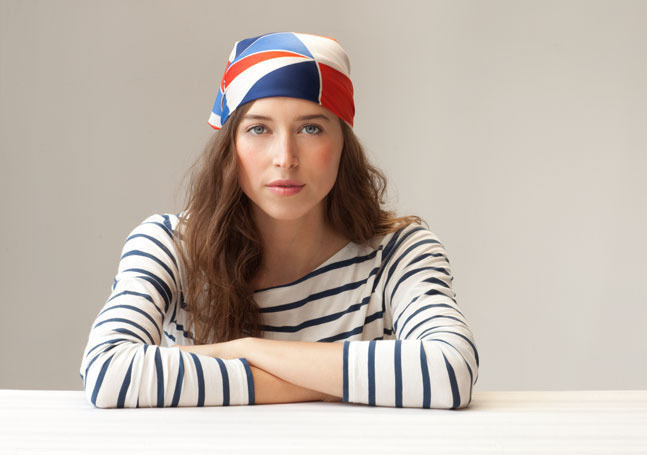 Don't miss the cool extras, like a clever illustrated time line of French sailor stripes and the célébrités who wore them (so very well). Join them on Thursday, Dec 2nd, from 6-11pm, for the grand opening of Glittering Conscience! Enjoy an evening of drinks, hors d’oeurves, music, and mingling with other eco-conscious minded enthusiasts, while shopping green for the holidays with a variety of earth-friendly products, including green process photographic prints and scarves, and recycled paper note cards by Handmade On Peconic Bay. A percentage of proceeds will go to funding a well in Tanzania, a place where clean drinking water is much needed. Thank you for taking an interest in sustainability!